The Drawing Room can accommodate up to 100 guests on round tables and 160 for informal receptions. It has its own bar and dancefloor and is at ground floor level having easy access to the gazebo in the grounds. With one side of the room made up of floor-to-ceiling windows and doors, natural light is plentiful and the seated terrace outside the room boasts glorious views across the valley. With a contemporary, fresh feel and an exquisite finish, The Drawing Room is situated on the ground floor directly under the Marco Pierre White Restaurant. The Drawing Room is ideal for 25 to 100 delegates and up to 160 for an evening corporate reception. The Drawing Room boosts stunning views through the floor to ceiling windows and doors which open to the private outside terrace area, adjacent to the landscaped gardens. 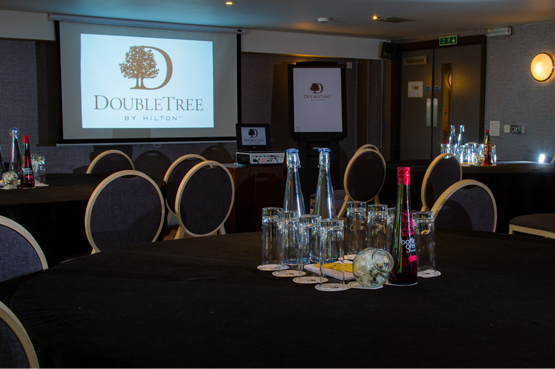 With its own bar and wooden floor area it is ideal for all medium conferences, meetings, dinners and receptions.